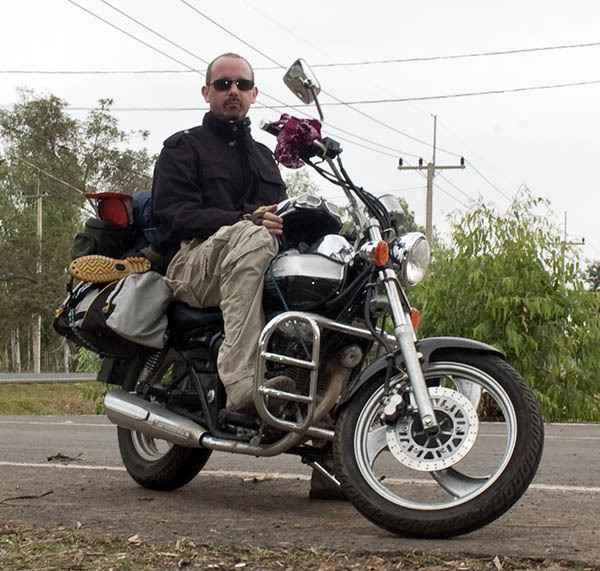 Motorcycling Nirvana – Route 13 – One of Asia’s most amazing journeys. For me, Laos is one of the most intriguing countries in the world. 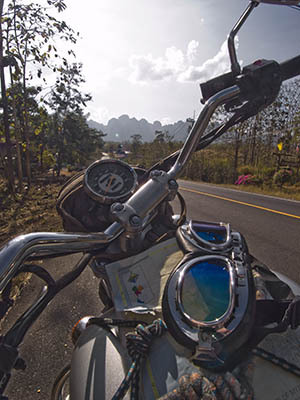 As a travel journalist I am often privileged to get the chance to motorcycle the amazing road from Vang Vieng, past Kasi and Poukhoun and on to Luang Prabang. However many times I ride this road, it never ceases to take my breath away. Above is a video with some visual impressions from these journeys. Below are a few words I wrote about Route 13 in my capacity as author of the guidebook, ‘Frommer’s Cambodia and Laos’. 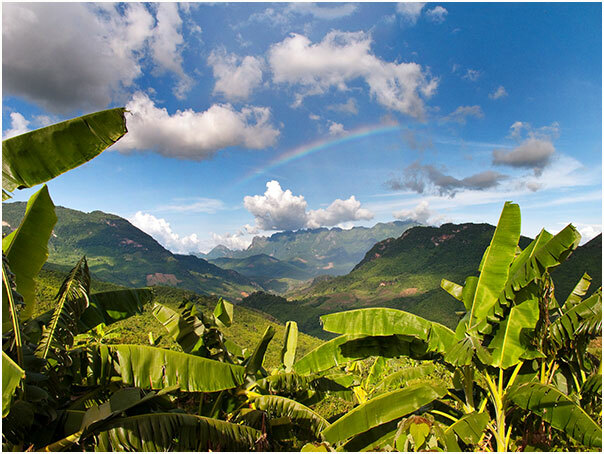 The road journey from Vang Vieng to Luang Prabang is one of the most spectacular jouneys in Asia. Amongst aficianodos of two wheeled travel whether self-propelled (and you would have to be a serious cyclist to undertake it) or on a motorcycle, Route 13 is famous for it’s spectacular winding roads and mountain views of unbelievable beauty. You start by driving along the banks of the Nam Song River. These jagged karst formations you see in Vang Vieng continue as you wind your way up to an ever higher altitude. This area is peppered with caves and if you have time you can stop off and explore. Bare in mind you still have 250 kilometers of winding to do. The road climbs and the limestone outcrops get bigger. Once past the town of Kasi they are huge. Jungled walls rise vertically from the valley like a giant tidal wave of solid rock. As you make your way up to Poukhoun this dramatic scenery is then laid out below you. A huge green carpet of natural peaks, abrupt precipices, and sharp ridges wreathed with wisps of cloud and lit by intense sunshine. Just before Poukhoun itself a viewing patform has been constructed and it is a great place to get an early lunch and take in this natural amphitheater. Once past Poukhoun the mountain scenery starts to change. Sharp and jagged limestone gives way to huge, rounded mountains stretching far into the distance. You make your way along roads cut into the hillside, each turn revealing yet another astounding view. The whole route is lined with small villages of varying ethnicity where hundreds of children engage in the ‘waving manically’ ritual, which you are free to reciprocate if it feels safe. In the late afternoon you slowly start to descend into the mountain panorama itself until you reach the valley floor. Again a straight wooded road takes you along the banks of the Nam Ming River and on into Luang Prabang – The ancient temple capital of the Kingdom. All this is best rounded off by a glass of decent French wine at one of Luang Prabang’s excellent Gallic watering holes.